Mark McNamara is a Melbourne barrister who grew up in Warrnambool. He loves racing. 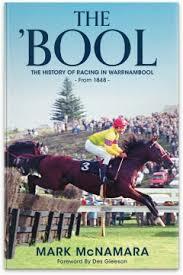 He’ll be talking about his book on the rich history of racing in his home town, The `Bool, which was published earlier this year. Copies will be available at the lunch.